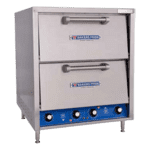 It doesn’t matter if you’re looking for a countertop pizza oven or a rotating countertop oven, you’ll find what you’re looking for in CKitchen.com’s huge variety of commercial counter ovens. 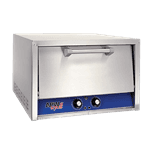 A commercial countertop convection oven is the perfect choice for small or challenging commercial kitchens, as it provides a small footprint that doesn’t take up valuable floor space. 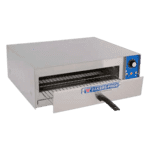 Our commercial countertop convection ovens are commonly used in convenience stores, quick-serve restaurants, off-site catering operations, cafeterias and other food service businesses where size and portability are a major concern. 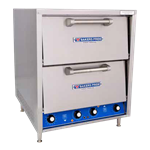 We offer units by Admiral Craft, Bakers Pride, Moffat, Grindmaster-Cecilware, Hatco, Lincoln, and more. 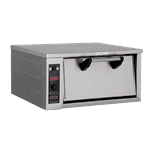 Choosing the right countertop oven for your business comes down to zeroing in on your unique needs. First, determine how much space you need. 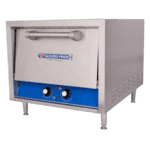 Our counter ovens range in size from small styles that can cook a single pizza to ovens that can accommodate multiple sheet pans, but all provide the fast, even cooking power that you’ve come to expect from convection cooking. 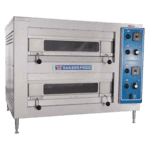 We have an enormous variety of countertop pizza ovens with several compartments as well as deck and impingement ovens that can be used to bake pizza, snacks, pretzels and baked goods relatively quickly. 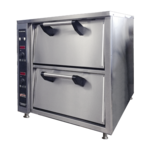 In some cases, you can stack several electric countertop ovens for a custom configuration. 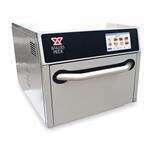 We also have several food finishers which rapidly heat frozen food, melt toppings or finish soups. 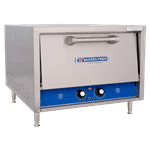 These countertop finishers can also be used to evenly warm up plates before serving. 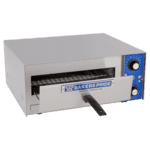 Almost all of our convection ovens are designed for extra efficiency and can help reduce energy consumption when compared with your old or outdated model. 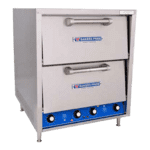 At CKitchen.com, we pride ourselves in offering superior customer service, so you should never hesitate to contact us if you have specific questions about which counter oven is best-suited for your budget and needs. 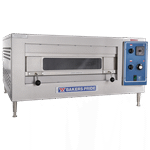 All of these ovens come with free shipping and a low-price guarantee.